My wife and kids have been great during this transition from City life to country life. They have been my rocks during this great upheaval, my inspiration…I could go on with the clichés forever. My wife has gone back to work after a few months off to help with the move and setting up the house. My son is going to the local school and my daughter has become my helper, or in truth more of company in the cheese room. She has her own hair net and boots and she sits in the office to read, colour and watch movies while I make cheese. In the morning get orders for Southern Alberta in coolers and shipped out, then get caught up on any paperwork, check on any cheese that was started the day before, check on fresh cheese inventory (Fromage Blanc and Yogurt) to see what needs to be started that night. Clean entire make room and any racks/equipment that has been left out, even if it looks clean. I try to get most of this done by lunch. I have lunch and then wait for milk delivery by doing paperwork or planning production for the next week. Milk arrives just before dinner and then if we need to start yogurt of lactic cheeses they get started after dinner. This is my tiny “183” , it is a semi lactic bloomy rind cheese and is named for the range road the acreage is next to. Prepare any orders for delivery then start draining cheese that was started the night before then reset the vat and start the next batch. This is an all day procedure as I always find other things to do when I am waiting for the next step. I love this cheese it is light,creamy and is the one my wife insists I bring to the house when done. Make cheese, do some packaging and wrapping if possible to easy some of the rest of the day’s work. This is Highland Hall, it is a pyramid-shaped bloomy rind and is named for a Stone Hall that is 2 km south of us. This is a light day that deals with packaging and getting ready for Sunday Market. This is Queijo Fresco, this is a fresh Portuguese Style Cheese that has no starter culture and shows off the organic cows milk we use. This is market day, I am at the French Quarter Grand Market from 11 AM to 3 PM, I try to post the price list each week on Facebook, Instagram and Twitter. This is my German Butter Cheese. It is aged for 30 days but is quite flavourful. Any cheese that I brought back from market is check back in to inventory and of course I make cheese again. All orders from our Distributer, the restaurants we sell to, or private orders have to be submitted by 10:30 AM, Noon at the latest so I can prep the orders for delivery. Of course I make cheese that day too. The one thing to note is that our Queijo Fresco is made to order, it has a 10 – 12 day lifespan so I try to give the customers the freshest batch. Finally the week is over, ready to start again on Wednesday. As you can see my week is pretty full, what wasn’t mention in each day was the constant cleaning, rind washing, answering emails that happens each an every day. I love my job…wait my new lifestyle…my career. Where is your shop, is it possible to buy cheese from directly there? 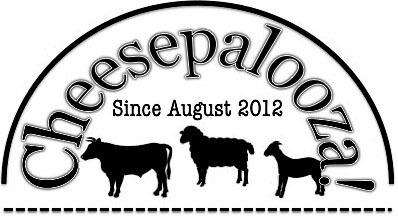 I don’t have a retail store at the acreage, but email itreuer@windingroadcheese.com and we will tal.